Prof. Ashok Gulati is a graduate from Shri Ram College of Commerce and did his Masters in Economics and PhD from Delhi School of Economics. Prof. Ashok Gulati is currently Infosys Chair Professor for Agriculture at Indian Council for Research on International Economic Relations (ICRIER). He is a well-known Indian agricultural economist and a former Chairman of the Commission for Agricultural Costs and Prices (CACP) (GoI) (2011-14). He was Director at the International Food Policy Research Institute (IFPRI) for more than 10 years (2001-11), first heading the Markets, Trade and Institutions Division (2001-06), and then IFPRI's Asia office in Delhi (2006-11). During his stint at IFPRI, he garnered expansive worldwide exposure, undertaking and guiding research in Asia, Africa and Latin America. He also worked as a NABARD Chair Professor at the Institute of Economic Growth (1998-2000), and prior to that he was the Director/Chief Economist, Agriculture and Rural Development at National Council of Applied Economic Research (NCAER) from 1991 till 1997. 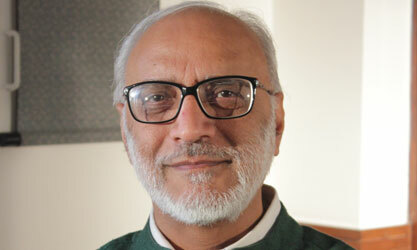 He has been involved in policy analysis and advice in India for a long number of years. He was the youngest member of the Prime Minister’s Economic Advisory Council of Shri Atal Bihari Vajpayee; Member of the Economic Advisory Council of the Chief Minister of Andhra Pradesh; and Member of the State Planning Board of Karnataka. Currently (2016-17), he is also a Member of the Chief Minister's Task Force on Agriculture, Govt of Madhya Pradesh; and has been a member of several expert Committees from time to time. He is also a co-chair of the Task Force for G20 on “Ending Hunger and Sustainable Agriculture” (with Joachim von Broun as Chairman) (2017). He has served in both academic and policy advising capacities in India. He has 13 books to his credit on Indian and Asian Agriculture. Apart from this, he has written numerous research papers in national and International Journals. He has been a prolific writer in leading daily newspapers in India, with his current column "From Plate to Plough" in the Indian Express and the Financial Express. He is also a Fellow of the National Academy of Agriculture Sciences, and Visiting Senior Fellow at the Centre for Development Research, University of Bonn. For his contributions to the field, the President of India honored him with the "Padma Shri", a high civilian award, in 2015.